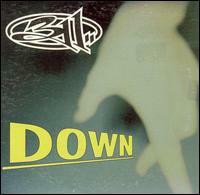 Single from the album "311". In a card sleeve. CD is in mint to near mint (M-NM) condition. Card sleeve is in very good plus (VG+) used condition, with some minor scuff marks on its corners. The sleeve also has a sticker on the front of it that says "Includes Bonus" (I believe it was originally released with a sticker).